1. What type of roof is on the home? Most roofs in Nebraska will have asphalt or composition roofing shingles. 2. How old is the roof? The age of the roof is not a defining element on how good it is. Some asphalt shingles are made to last longer than others, while wood shake roofs have shorter lifespans than asphalt shingles. a. 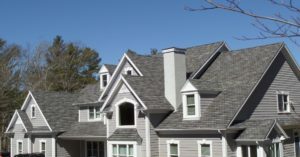 Are there any loose, broken or missing shingles, tiles, or shakes? b. Are there any blistered, curled or split shingles or dark patches? c. Are there large amounts of granules from the shingles in the rain gutters? d. Is the flashing loose, missing or corroded? e. Are there broken or loose shingles at the ridge and hip lines? i. A home inspector can answer all of these questions through their inspection. 4. Has the current owner made any roof repairs? 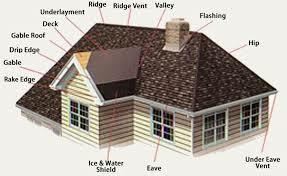 As with any system of the home it is important to know the condition of the roof, appliance, etc. and what repairs have been made, when, and why. If there was storm damage to the roof, make sure you know the damage, if the roof was supposed to be replaced and if it was by what roofer and what products were applied. If a new roof was installed be sure to ask if the warranty on the materials used is transferrable. 5. Are there visible signs of the roof leaking? A home inspector will be able to help you assess this. 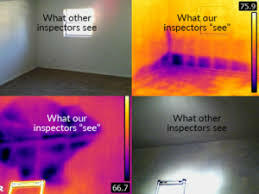 Corspect Advanced Home Inspections offers infrared inspection, which will look for damage through state of the art inspection equipment. As the future homebuyer you can also check for visible signs in closets and on the ceiling. Remember, getting the roof inspected by a professional home inspector and doing your roof research will cost you less now than paying for a roof you didn’t plan on replacing. Keep in mind that different professionals in the roofing world will look at your roof for different reasons. 1. Home Inspectors – a home inspector is looking at the installation practices, age and condition of the roofing materials, flashings, vents, chimneys, skylights, etc. The Home Inspector will report on the condition of the roof and its components at the time of the inspection. The home inspector will typically mention the job that the roof is doing for the home and what the probability of replacement is in the near or distant future. 2. Insurance Adjuster – an insurance adjuster is looking for damage to the roof surface, evidence of failure of the roof covering, and the remaining lifespan of the roof. It is their job to evaluate the risk that roof represents for the future. An insurance adjuster may not recommend that your insurance company will provide coverage because the roof will need replacement in 5-6 years. 3. Roofing Contractor – the roofing contractors job is to sell you a roof. As the future homeowner you have the right to ask for more opinions of the condition of the roof before you buy the home, after all it will be one of the greatest expenses you will have if it needs to be replaced.